Founded in 2014, Factom, Inc. specializes in designing and producing faster blockchain applications to handle large data for complex institutions. Among the organization’s clientele are the U.S. Department of Homeland Security and the Bill and Melinda Gates Foundation. FPT provides informational technology, products and digital engineering services to large businesses in the U.S., Asia and Europe in industries like manufacturing, energy and utilities, healthcare and communications. The new platform will seek to deliver innovative solutions to Factom’s business patrons like workshops and proofs of concept (PoCs) and give them access to advanced blockchain solutions, while also enhancing FPT’s digital and product engineering services. 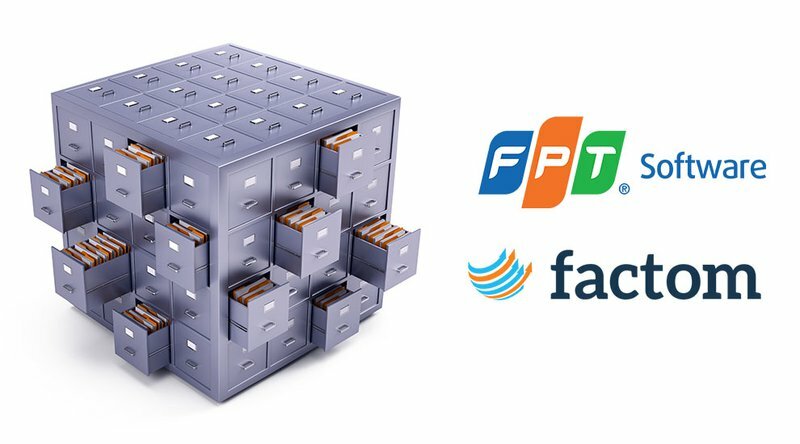 FPT says that it will work with Factom directors to make sure its own staff is trained on Factom’s technology to give the company quicker access to the blockchain. With nearly 20 years of experience in the tech industry, FPT Software is valued at over $2 billion and employs roughly 30,000 individuals in Vietnam and abroad. Headquartered in Hanoi, the company also has a U.S. branch in Richardson, Texas, designed to focus on digital transformation for Fortune 1000 clients. The company also houses several delivery units throughout major American cities like New York, Chicago, Los Angeles and Sunnyvale in the Silicon Valley. In another one of his famous bitcoin predictions that gets widespread news coverage, billionaire investor Tim Draper is now predicting that the price of bitcoin, which today traded at around $8,100, will rocket to $250,000 in four years. He repeated his bold prediction in a tweet the following morning. To put that number into perspective, the price of bitcoin would have to increase in price 30 times from what it is today to reach that projected number. But Draper, who has also invested in Tezos, another cryptocurrency that has yet to launch, has been right on the money in the past. 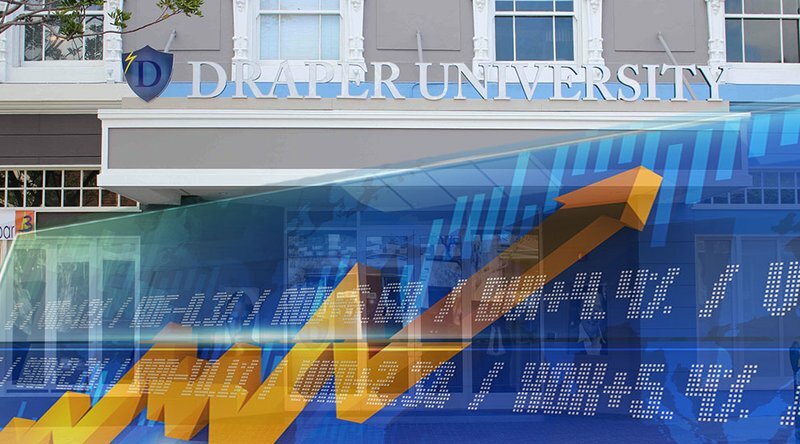 Draper’s most notable, and likely most profitable, investment in cryptocurrency was in June 2014, when he won the U.S. Marshals auction of nearly 30,000 bitcoins seized from the now-defunct Silk Road marketplace website. At the time, the price of a single “coin” was valued at around $600. Today, if he has held on to it, that investment would be worth more than $243 million. Later that same year, when bitcoin was only worth $413, in an interview with Fox Business, Draper claimed bitcoin would reach $10,000 in three years. Again, in 2015, the venture capitalist predicted that bitcoin would top $10,000 by the end of 2017. On November 29, 2017, the price of bitcoin crossed $10,000 for the first time, reaching a peak of over $19,700 a few weeks later. Draper’s latest prediction, however, comes amidst a global wave of regulatory change and uncertainty, at a time when bitcoin has fallen from its all time high in mid-December 2017 to a low of $6,450 on February 6, 2017. Governments around the world are now clamping down on initial coin offerings (ICOs) and cryptocurrencies to head off money laundering, funding of terrorism and consumer scams. BitGo co-founder and CTO Ben Davenport will step down from his position next week, he announced Friday. 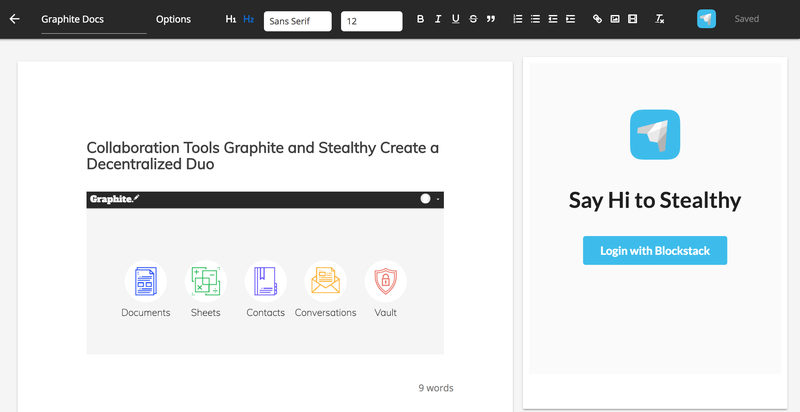 Graphite Docs, a decentralized alternative to Google G-suite, has integrated with decentralized messaging app Stealthy, the two companies announced on April 12, 2018. What that means is users of Graphite Docs are now able to view documents and chat with friends and coworkers on a single screen. “The integration brings a Stealthy module into your Graphite documents just like you see with the Google Hangouts module inside a Google Doc,” Graphite Docs creator Justin Hunter told Bitcoin Magazine. Similar to Google G-suite, Graphite Docs is a web app for documents and spreadsheets that includes an email alternative called “conversations.” You can use it to share files, make edits and collaborate. But the main difference, Hunter says, is that while Google has access to all your data, Graphite Docs never sees your data. With Graphite Docs, you still store your data on cloud servers — Dropbox, Amazon or even Google — but your data is encrypted, and your encryption keys stay on your own devices, so you maintain control of your data. “Let’s say Google wants to look at your documents, all they are going to see is an encrypted blob and they can’t decrypt that — only you can decrypt that with the encryption keys that you have,” said Hunter. Stealthy, a peer-to-peer communication platform with messaging, screen sharing, video chat and more, offers similar privacy features. That is because both apps are powered by Blockstack, a network for decentralized apps that works on top of the Bitcoin blockchain. Hunter likes to point out that the collaboration between Graphite Docs and Stealthy represents the first integration between two decentralized apps ever. Apps on the Blockstack platform are accessed through a browser, but the apps themselves run locally on your computer, along with the Blockstack software which stores your ID information that you use to access the Blockstack apps. “When you create an account on Graphite Docs, Blockstack creates a self-sovereign identity that is written to the Bitcoin blockchain,” said Hunter. Blockstack then uses that ID information to create a set of encryption keys for each app you use on the platform. Blockstack gives you a choice of storing your encrypted data on your computer or Blockstack’s own servers. For its part, Graphite Docs allows you to choose what cloud services you want to store your encrypted data on; that way, in addition to having your data stored through Blockstack, it is also replicated, protecting it against any single point of failure. The consumer version of Graphite Docs, including Stealthy, is free. Looking to the future, Hunter says he is focused on building a paid enterprise version of Graphite Docs for schools, NGOs, businesses and other institutions, so they, too, can own their own data. Similarly, Stealthy is also building additional features to support widespread adoption. Hunter is the lone employee of Graphite Docs. So far he says, he has managed everything himself and has not received outside funding for the project. Similarly, Stealthy is being bootstrapped by its founders, Prabhaav Bhardwaj and Alex Carreira. Morocco Extradites Alleged ‘Bitcoin Store’ Fraudster to U.S.
Moroccan authorities have extradited a British national to the U.S. on fraud charges for running the “Bitcoin Store” exchange under false pretenses. The zcash community has finished its Power of Tau ceremony in anticipation of the Sapling hard fork, which will occur later this year. 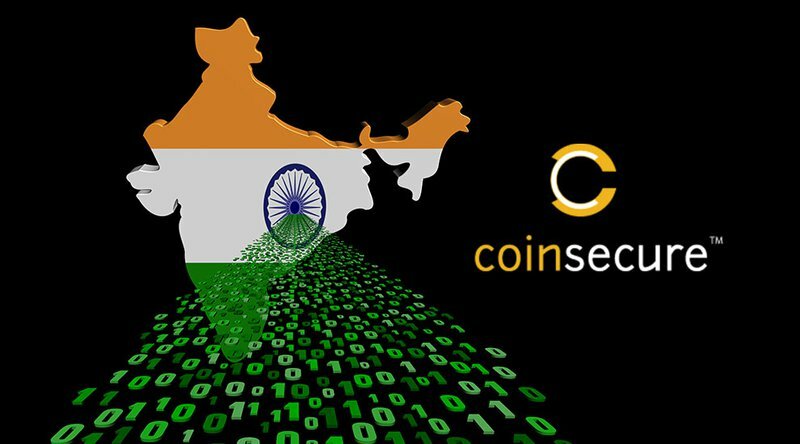 In what may be the biggest virtual currency exchange heist in India to date, 438 bitcoin (BTC), currently worth $3.5 million, have gone missing from Coinsecure, and the exchange thinks an employee has run off with the money. In a statement posted on the exchange’s website on April 12, 2018, Coinsecure said the exchange was not hacked, but that bitcoin disappeared when bitcoin gold (BTG), a “coin” resulting from a split in the Bitcoin blockchain, was being extracted to distribute to Coinsecure customers. Bitcoin are kept securely in a wallet, the firm said, and only two people, the company CSO and CEO, have access to the private keys. “Our Bitcoin funds have been exposed and seemed to have been siphoned out to an address that is outside our control,” the Delhi-based exchange said. 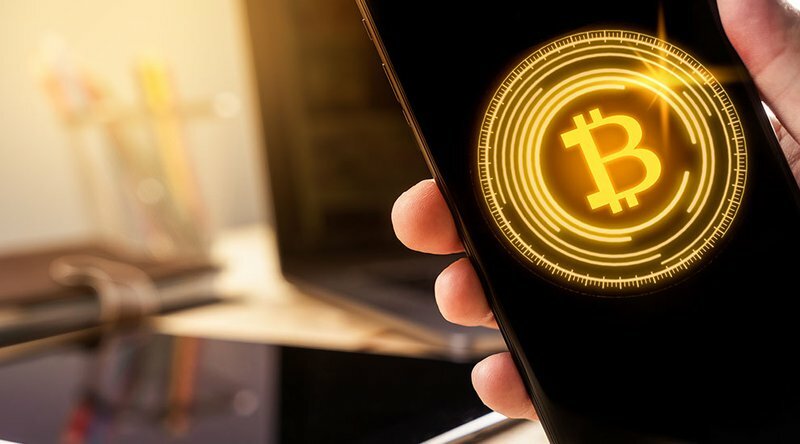 According to a first information report (FIR) filed with the police by Mohit Kalra, CEO at Coinsecure and director at the exchange’s parent company Secure Bitcoin Traders Pvt, on April 9, 2018, Coinsecure CSO Amitabh Saxena reported that the funds were missing from the wallet due to an “attack.” Coinsecure thinks Saxena actually took the money for himself. According to a news report in the Economic Times of India, police have since seized the company’s servers to investigate the extent of the system breach. They are checking to see if more wallets have been compromised and are calling in the company’s senior security officials for questioning. Meanwhile, Coinsecure is attempting to reassure its customers, stating that they will be paid back through the exchange’s personal funds. The person who took the funds may have trouble converting them to fiat inside the country. Last week, the Reserve Bank of India (RBI) banned banks and other regulated financial entities from dealing with digital currencies. The Robinhood mobile app for smartphones, operated by a financial services firm headquartered in Palo Alto, allows individuals to invest in publicly traded companies and exchange-traded funds listed on U.S. stock exchanges without paying a commission. Earlier this year, the company announced that it was branching into cryptocurrency trading with Robinhood Crypto. The Robinhood business model is based on collecting interest on the cash and securities in Robinhood accounts, much like a bank collects interest on cash deposits, rather than charging traders with commissions. Besides that, Robinhood sells premium “Robinhood Gold” accounts priced at $6 per month, with extra features such as the possibility to trade after hours and borrow capital. This would place Robinhood among the top 15 highest-valued private technology companies in the U.S., “representing an ambitious bet by investors that the firm can capture a sizable piece of the financial-trading market,” according to the WSJ. In a 2015 WSJ interview, Tenev said that, before Robinhood, many of the 90 million “mobile-first, share-everything” millennials in the U.S. felt investing was inaccessible due to fees and minimum account balances. Besides low costs and streamlined paperwork, the sleek interface and powerful back-end features of the Robinhood app are also designed to be appealing to tech-savvy, demanding digital natives. The app features state-of-the-art security measures, real-time market data, timely notification of earnings, dividends, or splits, and a custom low-latency trading system. Though the company plans to expand globally, Robinhood is still very much focused on the U.S., with Australia being the only foreign country where specific expansion plans have been announced. In February, Robinhood started rolling out Robinhood Crypto, a new option to trade cryptocurrencies within the app. Currently, 16 cryptocurrencies including BTC, ETH, NEO, QTUM and ZEC are supported. “Over the past few weeks, we’ve been overwhelmed by the enthusiasm toward Robinhood Crypto and are excited to contribute to the cryptocurrency community in a meaningful way,” reads the launch announcement. “With the release of Robinhood Crypto, we’re continuing our mission of making the financial system work for everyone, not just the wealthy. Robinhood Crypto trading is only available, at this moment, to users in California, Massachusetts, Missouri and Montana. The company is rolling out crypto trading gradually and claims that over one million people are in line to get access. In the meantime, all investors on Robinhood can monitor and track cryptocurrency market data. A social platform to discuss cryptocurrencies, dubbed Robinhood Feed, is also being rolled out gradually. “Investors also see opportunity in Robinhood’s recent introduction of trading in cryptocurrencies like bitcoin, according to a person familiar with the investment,” notes the WSJ. However, it can be argued that, to democratize investing and put “power previously held by financial institutions directly in the hands of the people,” as they state on their company blog, Robinhood should consider allowing cryptocurrency deposits, especially in view of an international expansions. If the Robinhood team really wants to go global, they should bear in mind that billions of people in the developing world don’t have access to credit cards and bank accounts, and cryptocurrencies are rapidly emerging as an alternative financial empowerment means for the unbanked. Bitcoin Magazine reached out to Robinhood for comments and questions but was told that there were no representatives available. Banco Santander is launching a new international payments service, dubbed “OnePay FX,” based on blockchain technology. The service is available to retail customers in Spain, U.K., Brazil and Poland, and will be rolled out across more countries in the coming months. The OnePay FX app is available from the App Store for iOS devices. Banco Santander is one of the world’s largest banks with 133 million customers, 13,700 branches and 200,000 employees. With the launch of OnePay FX, Santander will become the first bank to offer a blockchain-based international payments service to retail customers in multiple countries simultaneously. The bank intends to make OnePay FX significantly faster than existing international payment services and to introduce instant international payments in other countries, besides the four countries supported at this moment, before the summer. Botín told the Financial Times that she was particularly keen to encourage the project — which took two years to develop — after seeing her son using a rival service to rapidly transfer money into Spain, adding that the Santander group aims to eventually make OnePay FX available as a standalone app that could be used by customers at other banks. OnePay FX is built on xCurrent, Ripple’s enterprise software solution for cross-border interbank payments with end-to-end tracking. The xCurrent platform allows banks to message each other in real-time to confirm payment details before initiating a transaction, and to confirm delivery once it settles. xCurrent, is built around an open, neutral protocol, Interledger Protocol (ILP), which enables interoperation between different ledgers and networks. According to Ripple, xCurrent offers a cryptographically secure, end-to-end payment flow with transaction immutability and information redundancy. 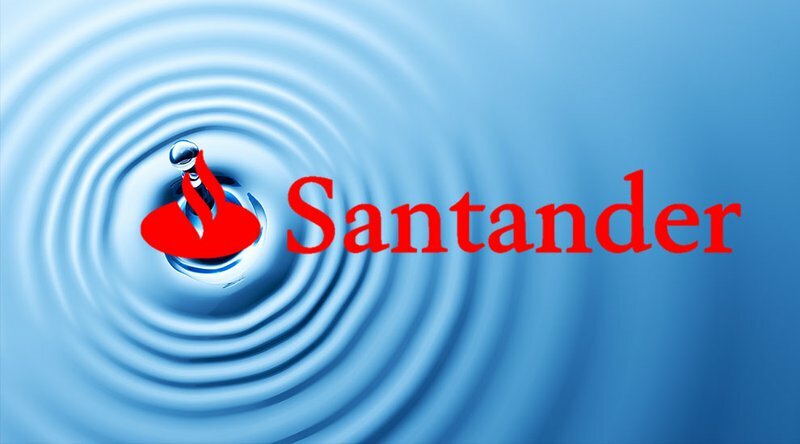 In a 2016 pilot project, Santander U.K. tested Ripple’s blockchain technology for international payments. The iOS app used in the pilot project worked in connection with Apple Pay. “Blockchain technology offers tremendous opportunities to improve the services we offer our customers, and the launch of Santander OnePay FX is the first of many potential applications,” concluded Botín. According to Ripple, frictions in global payments will be eliminated as more financial institutions like Santander adopt and build upon Ripple solutions. A newly released Bank of America patent application proposes securing health records on a permissioned blockchain.